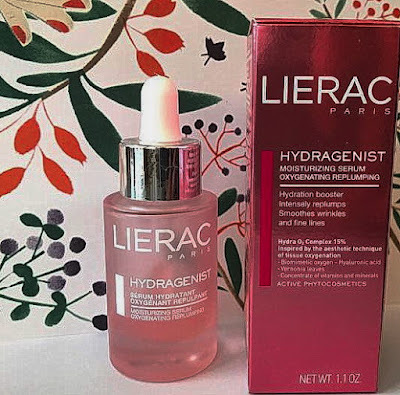 Lierac Hydragenist Moisturising is one of my favorite serums no matter the season. It has an amazing texture that melts and merge with the skin , leaving behind the feeling of being wrapped in a cocoon of softness. The active ingredients of the serum are : Hydra 02 Complex (15%), Natural Moisturizing Factor (10%), AHA’S (0.5%), Glycerin. 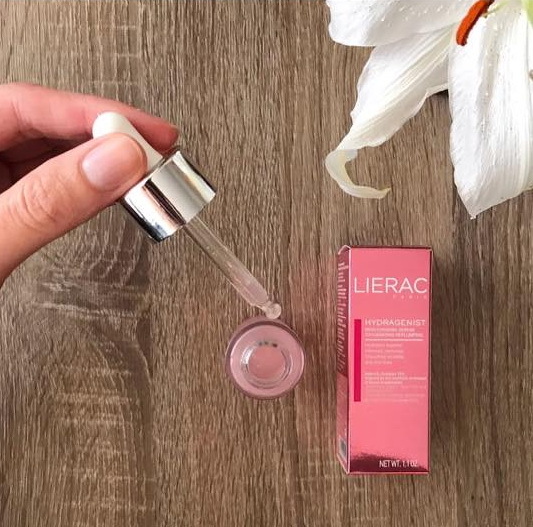 This serum has a delicate, refreshing and natural fragrance of rose water, jasmine and gardenia. It comes in a 30 ml bottle glass with a pipette (dropper) for an easy mess-free application. The dropper has a good quality, it works perfect compared to the dropper from my Estee Lauder Night Recovery Serum. With just a few drops applied to the face/neck in the morning and /or at night I get the softest skin I ever had. No more tight feeling or dryness for me, my complexion is refreshed, more radiant and it feels really nice to be in my own skin again. The serum can be added to foundation for an easier application and a natural glow. I really love to mix 2 small drops of my Lierac Hydragenist Moisturising serum with my Estee Lauder Double Wear Stay in Place foundation, and it blends like a dream plus the end result its a soft natural dewy look and a much more comfortable feeling for my dry skin. This serum feels lovely and helps to regenerate skin after a day at the beach, but it's also perfect for during winter when skin gets dry and upset by harsh weather or indoor dry air. Many times I used this serum as a primer, before my foundation and the result was lovely, my makeup looked fresh and soft for the entire day. I think a good serum its also a good primer and good primer works with any type of foundation. I bought this serum without reading any reviews about it, I bought it from a pharmacy in France and I am really happy that now I can also get it online. Its not really expensive, the bottle has 30 ml and it costs around 35-40 euro online and possibly much cheaper if you get it from France. I was thinking to make a top 5 serums that improved the way my skin looks, is that a topic that might interest you ? Yesssss ! it took me a while to realize that I can do this mix.I could not use my double wear foundation because my skin was too dry and now I am really happy to be able to use it again. I feel so dumb I never thought of this before.